The launch of sales at The City Collection is just around the corner. 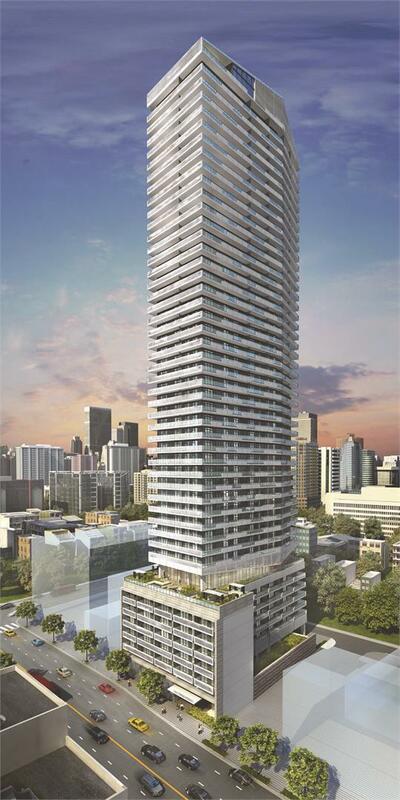 Anyone interested in tremendous condominium value in a prime Toronto location will want to register now. Streetcar’s newest residence in the master-planned Riverside Square community on Queen Street just east of the Don Valley is already attracting enthusiastic interest from the spectrum of new home buyers. With suites starting from the $200’s for layouts from studios to three-bedroom, designs with huge terraces overlooking the city, there is truly something for everyone. The area is filled with amenities, and Riverside Square residents will be able to walk to an array of shops, cafés, restaurants, a supermarket and more, many on the ground floors of the buildings in this master-planned community. Public transit is at the doorstep, and the downtown core is a walk. Streetcar or really short car ride away. Plus, Streetcar has purchased the Broadview Hotel and is transforming it into an exciting venue coming later this year. What more could you want? But wait, there’s more! Riverside Square will also encompass a new park within the community, right on Queen Street. All residents in the project will have access to the building’s amenities including a massive gym, a cool urban party room and a rooftop infinity pool with spectacular city views. Every unit has outdoor space, some have huge terraces. Some of the standard features and finishes include 9-foot ceiling heights, hardwood throughout, granite countertops and integrated appliances. LOOK WHAT’S HAPPENING AT 2221 YONGE! ≈ Comments Off on LOOK WHAT’S HAPPENING AT 2221 YONGE! The hoarding is up, and demolition is set to begin to make way for construction on 2221 Yonge, Tower Hill Developments’ exquisite condominium at Yonge and Eglinton. What a gorgeous addition to the neighbourhood this outstanding residence will be! With the renowned design team of Manhattan-based Pei Partnership Architects (yes, of the Louvre’s famous pyramid in Paris) and Toronto’s Quadrangle Architects for the outstanding terraced exterior, how can it be anything else? From a six-storey podium, the building will rise to feature glorious balconies and recessed terraces. Fabulous interiors by the inimitable Munge Leung include Halo, the spectacular amenity lounge on the 56th floor. Just imagine the views! Residents will also have retail venues at the ground level, the epitome of convenience. Purchasers range from young professionals to seasoned homeowners who want to live in the city but appreciate midtown’s ‘walk to everything’ location. They also discover exclusivity and prestige for competitive prices. For more information, visit 2221yonge.com. If your pet is part of your family and you are shopping for a condo, think ahead and do your research before signing on the dotted line. First, of course, ask whether pets will be allowed and if there might be restrictions on size, breed or other aspects. With condominium residents living so close to each other and passing neighbours in the hallways and elevators, having a well-behaved pet is a must. You definitely want to find out the conditions ahead of time, rather than end up in an awkward situation. In addition, take a good look at the condominium’s surroundings. Are there parks close by where you can take your furry friend for walks? The great news is that many of today’s new condominiums not only allow pets, but also provide pet grooming areas and spas with washing stations conveniently located on the ground floor. This saves a lot of wear and tear on the flooring throughout the building and in your suite. When you live in a condo, lifestyle is key – even for your pet! Make sure that he or she is going into an environment that will be welcoming and fun. 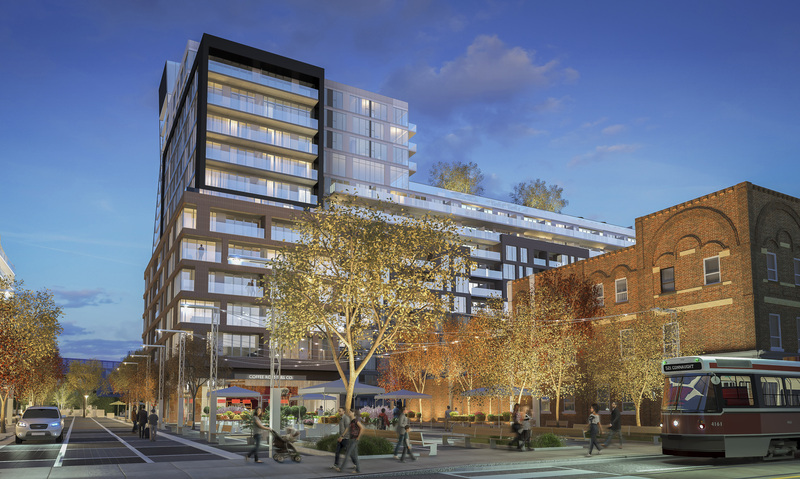 Toronto’s coveted Bayview Village neighbourhood is about to become even more exciting! Broccolini is preparing to introduce Park Towns at Bayview and Sheppard – a collection of just 50 urban townhomes built along a beautiful park space. Prices will begin from the mid-$200,000s for one-bedroom designs and from the low-$400,000s for two-bedroom layouts, which is incredible value for this sensational location. This is your opportunity to live in the midst of fabulous urban amenities in an idyllic natural setting. The new Park Towns neighbourhood is steps from Bayview Village Shopping Centre with its array of popular shops, fine dining and convenient services. Among them are sophisticated favourites such as Pusateri’s and Oliver & Bonacini Café Grill. With TTC’s Bessarion subway station next door and Toronto’s 400-series highways close by, getting around the city from this spot is a breeze. Park Towns is surrounded by nature. The Bayview Village community is home to trails, pathways and an abundance of parks. Splash pads and playgrounds are a hit with children and adults, with a YMCA and premier tennis club right in the vicinity. Plus, adjacent to Park Towns, there will be a Mountain Equipment Co-Op (www.mec.ca), which will offer fitness and yoga classes and will carry the clothing and gear to help owners make the most of the surroundings. Designed by the renowned SMV Architects in the contemporary brownstone style, these urban townhomes will enhance the upscale ambience of this prime uptown area. Interior design is by the inimitable Bryon Patton & Associates. 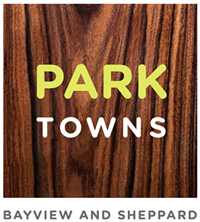 Anyone interested should register NOW at www.parktowns.com or call: 416-868-0784.